The California Apartment Association’s Orange County Division has been honored for its work with Families Forward to help end homelessness in the region. The accolades came April 28 at the 2018 Spirit of Volunteerism Awards. CAA Orange County had been nominated for the award by Families Forward. Matt Buck, vice president of public affairs for CAA Orange County, attended the ceremony. “It was an amazing experience to have CAA recognized at Orange County’s largest event celebrating businesses and individuals who partner with nonprofits,” Buck said. More than 1,000 attendees watched as CAA was announced as Families Forward’s partner, and the CAA logo appeared on the big screen. “The California Apartment Association has made a commitment to our organization as a true community partner, supporting Families Forward in a wide variety of ways to ensure that parents with children who are in crisis, and living in their car or on the street, have the chance to find safety in stable housing and the opportunity to provide for their family again,” said Madelynn Hirneise, director of property acquisition and management for Families Forward. The CAA Orange County Advisory Board of Directors is honored to partner with Families Forward for the Fifth Annual CAA Orange County Charity Gala. This year’s event will take place from 5:30 p.m. to 9:30 pm. May 24 at the Balboa Bay Club in Newport Beach. CAA has assisted Families Forward with its rapid-rehousing component since 2013. In 2017, the partnership helped more than 200 families (approximately 680 parents and children) overcome homelessness, with CAA members faithfully identifying and making units available for homeless families. CAA also provides complementary training to Families Forward staff, helping them receive California Certified Residential Manager credentials. 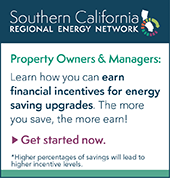 The program provides comprehensive property management training with an emphasis on best practices and compliance with California’s unique laws and regulations. The video below features just three of the hundreds of families that were able to regain self-sufficiency with the support of organizations like CAA.